This is to inform all the students of the Kwara State Polytechnic (KWARAPOLY) that the management of the polytechnic has approved the Academic Calendar for the 2017/2018 academic session. 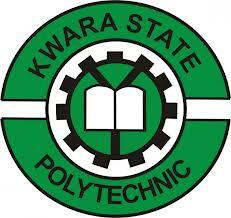 KWARAPOLY Academic Calendar for First Semester. KWARAPOLY Academic Calendar for Second Semester. End of 2017/2018 Academic Session ––– 1st September, 2018.